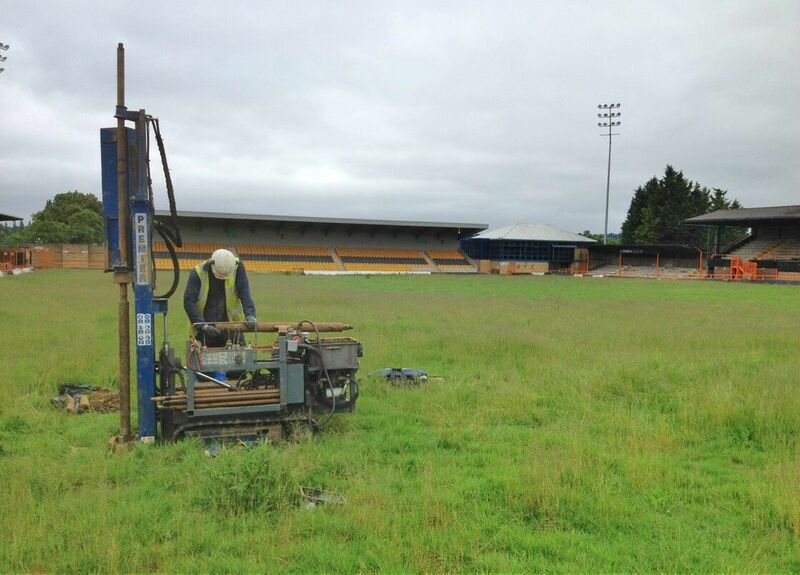 Brownfield development often requires detailed site investigations to be performed to assess the ground for both contamination and geotechnical considerations. Delta-Simons’ site investigation team is made up of a highly qualified and dedicated drilling team, providing a courteous and knowledgeable customer interface for site activity. The team prides itself on delivering reliable mobilisation and a cost effective and efficient service to provide professional land drilling delivery. The Delta-Drilling team currently operates with Commachio 300, Commachio 205 and Premier 110 rigs, providing a full range of services including hollow stem augering (simultaneous sampling system), open hole rotary drilling (air, water and mist flush), rotary coring, SPTs & U samples, windowless and window sampling (cased) and dynamic probing. We have diamond core barrels that run off the rigs, allowing a neat finish on site through hard standing. 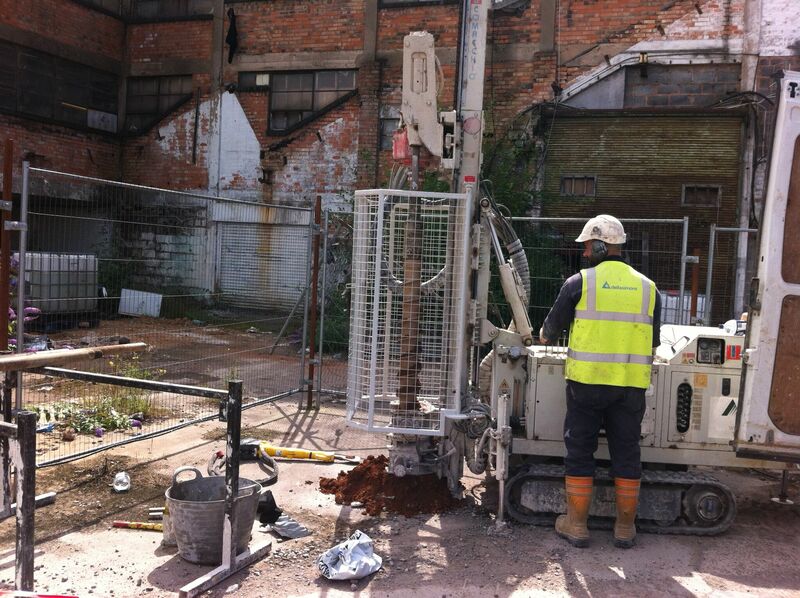 Geotechnical work is carried out in accordance with the customer's specifications and typically includes sampling and testing in accordance with the current guidance in BS5930, or a bespoke method to suit specific circumstances. The Delta-Drilling team has adopted field quality procedures for corrected SPTs, and taking relevant undisturbed samples using U100 aluminium liners or thin walled samplers (UT100). 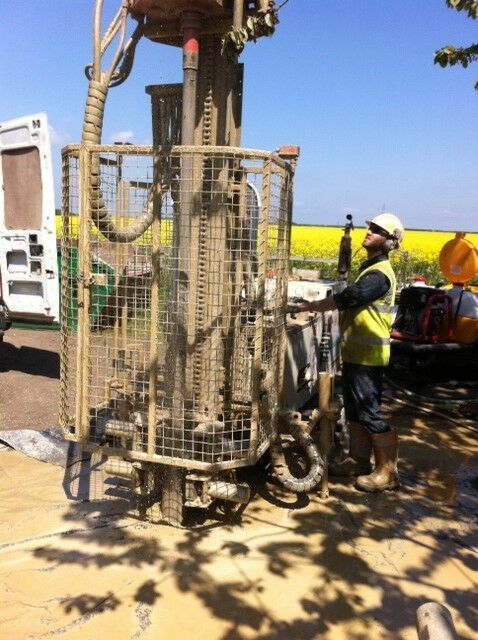 The Drilling team works closely with consultants and has significant experience of working on a range of contaminated and geotechnically challenging sites. In addition to operating safely in these ground conditions, the team is well versed in appropriate drilling techniques to protect sensitive groundwater receptors. Monitoring well construction is a major part of environmental investigations, and the team is trained and resourced to provide installations for both groundwater and ground gas sampling. Delta-Simons drilling team can install boreholes for domestic and non-domestic properties for the extraction of up to 20m3 of water per day. Encountering obstructions during piling can result in significant delays to development projects, and resultant costs. By carrying out a pile probing exercise, Delta-Drilling can identify obstructions in advance of the piling works, avoiding costly delays. The Drilling team is fully trained for streetworks and utilities avoidance, ensuring that all investigation works can be planned and undertaken safely and efficiently.